Great news – after only 4 days this has already reached its target! John French has started a crowdfunding project on Indiegogo to finance the release of The Magic Band’s latest DVD. 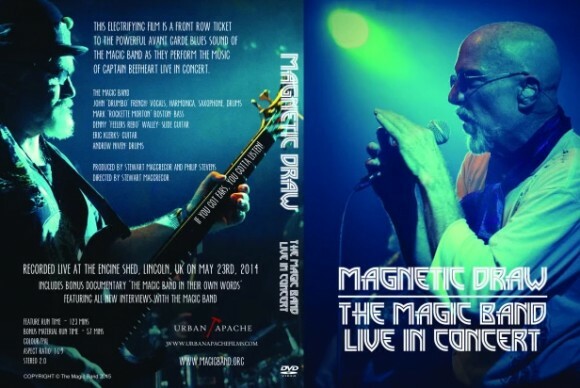 Called Magnetic Draw this is a two disc set which includes, on one disc the concert performed at “The Engine Shed” Lincoln, UK on 23 May 2014, and on the other interviews with all the band members. All monies raised will go to the production of the DVD, and more importantly all profits will go directly to all the Magic Band members who have taken part. Here’s a chance for all fans to support these guys.